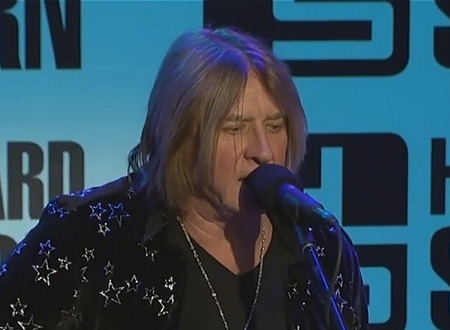 All five members of Def Leppard appeared on the Howard Stern show earlier today and performed two songs live in studio. 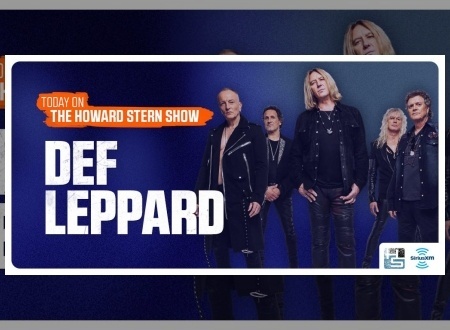 The full band spoke to Howard Stern for the Howard Stern show on Sirius XM radio. They also performed electric/acoustic versions of 'Ziggy Stardust' and 'PSSOM'. Side Note - Vivian didn't say a lot and Phil enjoyed being able to swear (specifically the word f**k...as you do...). 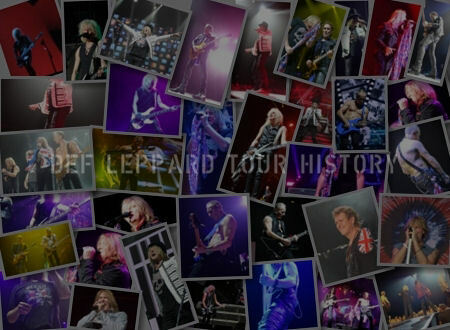 They talked about the Rock And Roll Hall Of Fame, early years, Atomic Mass, Deaf Leopard/Band Names, Def Jam name, Musical Influences, early years, 1992 Freddie Mercury show, David Bowie's Death/All the Young Dudes, Joe meeting Bowie, meeting Brian May, Bohemian Rhapsody Movie, Meeting Freddie Mercury In 1986, Brian May Inducting DL At RRHOF, Queen influence, Mutt Lange, Joe's Funeral Songs, Ziggy Stardust performance, Live Show Improving/2018 Tour, Def Leppard/Journey Tour, pacing tours, Music Industry Changes/Record Deal, The Def Leppard E.P.Pyromania album success, Photograph, Rock Of Ages, Foolin', Two Steps Behind, PSSOM performance, Armageddon It Vocals, Backing Vocals, Guitar Playing/Phil Collen, Hysteria/Foolo'-Up Album, Rick Allen's Car Accident/Returning To The Band, 1986 Comeback Tour/Second Drummer, Hysteria Recording, Rick's Nurse Story, Hysteria In The Round Stories, RRHOF Induction/Robert Plant, Robert Plant Hysteria Tour Story, Joe's Robert Plant Story, Still Enjoying Playing Live, PSSOM w/ Taylor Swift, Tom Cruise/Rock Of Ages Movie, RRHOF Induction, Hits Vegas The Sin City Residency and RRHOF Setlist/4 Songs. Listen to and watch the full 1 hour 14 minute interview below. 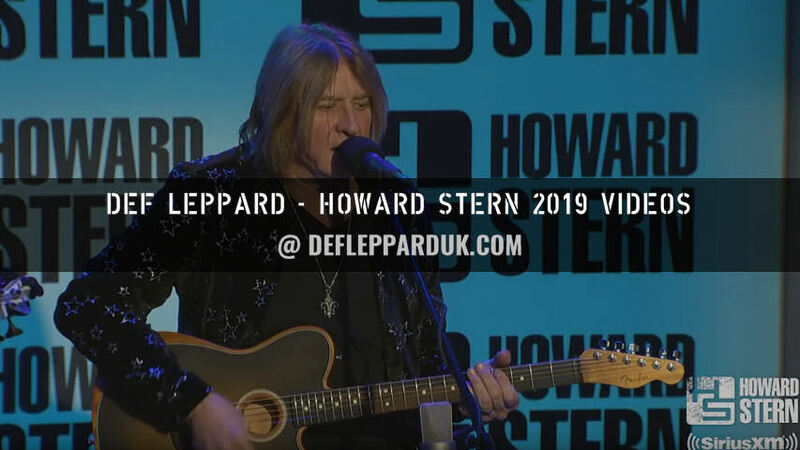 Watch the two performances and interview footage via the playlist link which has now been added. 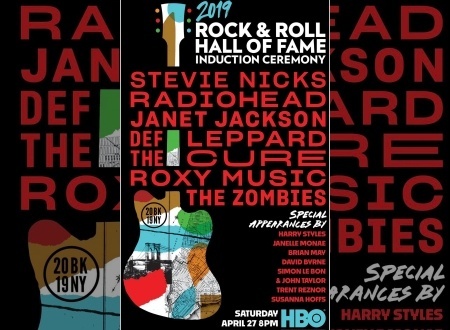 The 34th annual Rock And Roll Hall Of Fame Induction takes place on 29th March at Barclays Center in Brooklyn, NY. RRHOF Do you care about that? "Yes we do now. Now that we've been nominated, inducted, chosen, yes we care." Joe - "Yeah. We didn't know because we weren't following how it went, 25 years and then you're eligible to be nominated. We had no idea you know. So it was only round about maybe 2007 and 2008 when people would start to say well for the last three years you've been eligible. And then they would keep asking the question and we were so fed up with the question. We just said we don't care." Phil - "But it's the same as the Grammy's, you know, we've never been nominated. 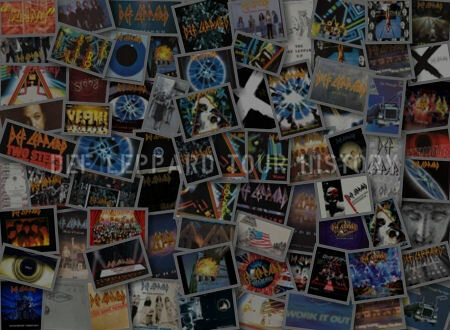 When we had two diamond albums. 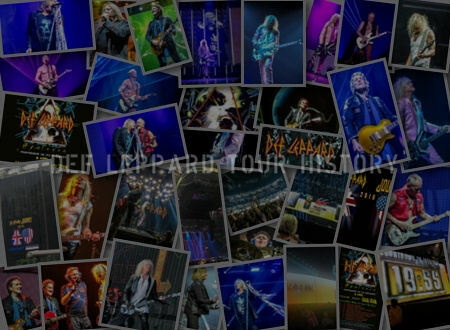 Two ten times platinum albums, there was no category for us." Joe - "In fairness before the fan vote I think it was a very elitist thing which is why we kind of shied away. You know if you weren't Lou Reed or R.E.M. or Louden Wainwright III. Nah they didn't want us. That went out the window with the fan vote which is great." Phil - "We're definitely not cool but the fans like us." "It's nice when they come along. the first time we met Brian May it was the same thing you know. He just popped into our dressing room in 1981 wasn't it. We were opening for Ritchie Blackmore's Rainbow. And he comes in and goes Hi I'm Brian." Joe - "No we do." 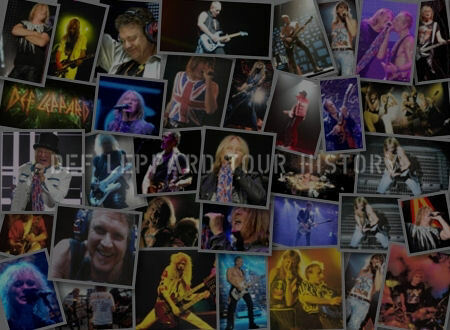 Phil - "From the get to Queen is the blueprint for Def Leppard really. Musically and everything and he's just amazing. So that's who we wanted it was just whether he could do it or not." Sav - "I may be a bass played but in my opinion absolutely. He's one of the reasons that I wanted to be in a band." Joe - "No I've spoken to Brian over the last couple of weeks and he says what do you want me to say. I said whatever you want. Think just from the heart really." Joe - "Four I believe. We get to do four 'cause...."
Phil - "What would you have us do?" Joe - "Fifty percent maybe. We'll be playing the crown jewels for sure." Watch all the video posted from the show on this YouTube playlist.